From Japanese in Sanur to Seminyak's newest 'foodie, drinking bars', tapas or five-star river dining in Ubud to beach-front meals in Seminyak, meet the new foodie players in town: Kubu, Helter Skelter, The Restaurant, Blanco Par Mandif, or Le Jardin.. the list goes on! Another month, and more world-class restaurants, bars and cafes to check out across the island! 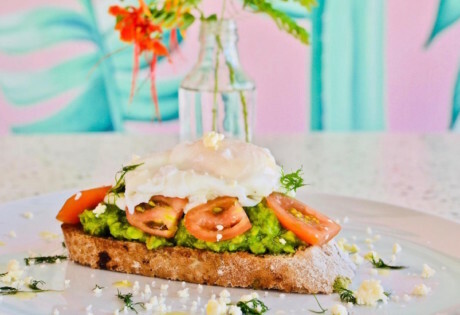 This month’s hot new restaurants in Bali list could go on forever, there’s so much tastebuds temptation! From five-star fine dining along Ubud’s River Ayung or Seminyak’s beach-front, cool art and music to go with your food in Seminyak’s new groove, the new gastronomic affair or Canggu’s cool new cafes (yes, even more have opened! )… welcome to Helter Skelter, new Alila Seminyak’s The Restaurant, Le Jardin at Metis, Blanco Par Mandif and L’Hort in Ubud.. and still, so many more. Ubud is feeling the foodie love this month! Kubu in Indonesian means hut or shelter, where Balinese farmers keep the rice after harvesting habitually. 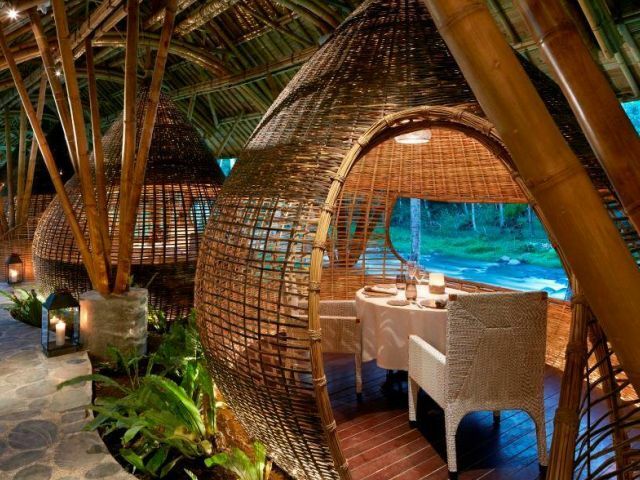 This tradition inspired the new Ritz Carlton Reserve address Mandapa in designing its signature bamboo restaurant. A tropical breeze and the soothing sound of water set the mood at Kubu which offers an intimate space with nine private cocoons overlooking the Ayung River to enjoy fine Mediterranean-European cuisine – with a-la-carte or degustation menu options. There’s a long list of international wines and in this setting, you’ll be toasting all night. Kubu Restaurant, Jalan Kedewatan, Banjar Kedewatan, Ubud Gianyar, p. +62 361 479 2777. Helter Skelter brings great food, drinks, music and art to Seminyak. Check it out! Music, Art, Love. Plus seriously good (great) food. 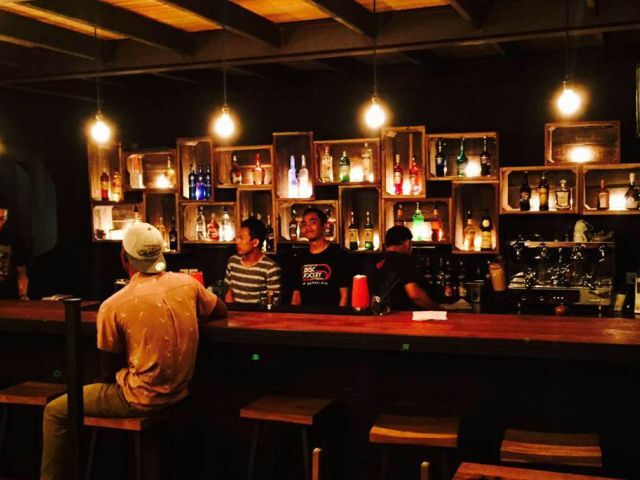 This new bar and restaurant equals a welcome, new vibe for Seminyak, as a super-good place to eat, drink, chill, get social… and yes, be seen at. Industrial design and underground music feels make this two-level space (with an upstairs, outdoor deck) feel seriously intimate. And familiar. And stylish. Owner Luke Allan’s entertainment background and connections guarantee that Helter Skelter is the real deal in the food, music and drink stakes. And with the restaurant magic being created by one of Bali’s foodie legends Nick Philips – putting his organic farm knowledge in Bali to good use with a menu standard to rival Seminyak’s most famed restaurants – you’re in good hands. The sensory assault begins from walking in the door to a waft of burnt cinnamon cocktails created by their expert mixologist, to the mixture of crazy art and quotes all over the walls and ending with that high-end, tastebud overload. Very. Cool. Opening 3rd October, 2015. Helter Skelter, Jalan Lebak Sari, Gg Star (in front of the new SoHam fitness centre), p. + 62 (0)822 3766 9587. The brand sparkling new Alila Seminyak, Bali’s hottest new hotel complex to open, is showcasing their new beachfront foodie maven The Restaurant. 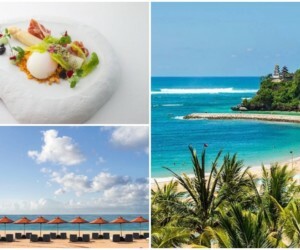 Chef Stefan Zitja, formerly the Executive Chef of Alila Villas Uluwatu, is now helming the culinary journey of the first hotel-style Alila property in Bali. 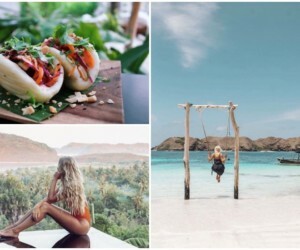 From savouring authentic Indonesian flavours to feasting on succulent grills or enjoying sundowners and light bites beside the pool, they serve up a delicious range of gastronomic experiences amid that chilled-out oceanfront setting, tantalising appetites and your senses. 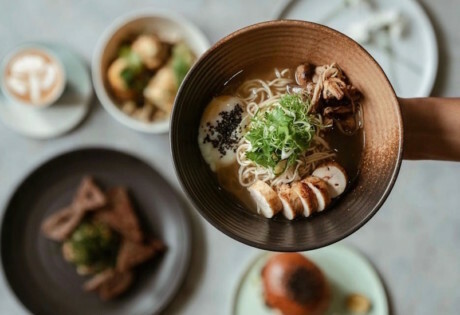 Within a relaxed bistro-style setting of communal tables, comfy seating and sun loungers, you can relish an array of delicious culinary choices, including an Asian Noodle Bar and a Grill & Rotisserie. Opening 1st October, 2015. 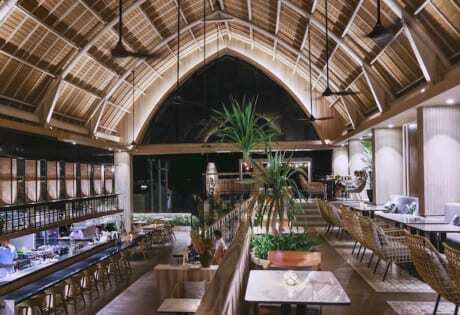 The Restaurant, Alila Seminyak, Jalan Taman Ganesha No. 9, Petitenget, p. +62 (0)361 3021 888. 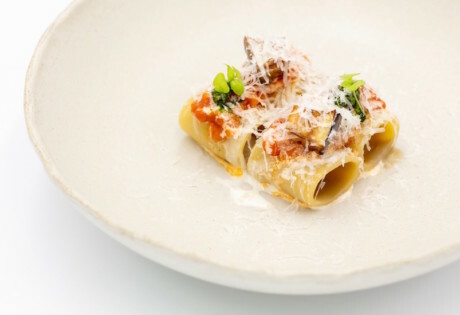 Indonesia’s famous, award winning chef and restaurateur Mandif M Warokka – the legend behind Bali’s gastronomic sensation Teatro (and famed for his work at Ju-Ma-Na) – has opened new doors in Ubud, and once again he’s showcasing the finest modern Indonesian cuisine to a stunning international level. Exotic Indonesian flavours and carefully sourced, seasonal local produce are the tools to show off his unique passion and craftsmanship for culinary art and fine dining. This is a chef that is highly, highly, highly passionate about gastronomy, and you will taste his difference. Located in one of Ubud’s historical settings the Don Antonio Blanco Museum, this address is already legendary. Reservations are essential. Blanco Par Mandif, Komplek Museum Blaco, Jl. Raya Tjampuhan, Ubud, p. +62 361 479 2284. Open daily, 6–10pm. A new, secret Catalonian-inspired spot in Ubud, behind one of Ubud’s sweetest spots. Located in the back of the exquisite Room4Dessert by brilliant chef Will Goldfarb, L’Hort is the hot new tapas spot in ‘the garden’. The intimate space is more casual and rustic than the industrial feel of Room4Dessert, with ten key meals to choose from (and one dessert, naturally) but it’s the lovely ambience to enjoy the delish dishes that will keep you coming back. Choose from traditional faves with a modern spin, such as Gazpacho Andaluz through to Papas Bravas (fried potatoes with a red chilli aioli dip). Great food, great drinks, great service – and you’re in. L’Hort Backyard of Room 4 Dessert, Jalan Raya Sanggingan, Ubud, Monday-Saturday 5.30pm-12am, p. +62 (0)361 553 2598. Hurrah for Watercress taking their winning formula to Ubud! Batu Belig’s favourite meeting place that just happens to be the best cafe and restaurant also, has stretched their green wings into new digs in Ubud! It’s rare to find legends like Watercress who nail everything on that all-so-tempting menu from breakfast (healthy or hearty) through to cocktails and decadent dinners (steak fests through to light delicious salads! ), but that’s what they’re known for. Like steak? Love seafood? Grilled corn and hand cut chips? That’s the mixed grill plate. Or try Laos Noodle Soup Sundays. Or Wild Rice Stir Fry seasoned with Asian flavours, veges, optional chicken, tofu or BBQ seafood. And don’t forget the accompanying beverages, from Revolver Coffee, Happy Kombucha Secret Lab, or ok – one or a few cocktails please. Watercress, Jalan Monkey Forest, Ubud, p. +62 (0)361 976127, Open 7.30am-10.30pm. Enchanted dining under the stars within a beautifully landscaped tropical setting, yes please. It’s not often that fine dining icons add designer gardens to their restaurant, lounge and gallery offering, but Métis’s signature French Mediterranean cuisine is now complete with stunning and fragrant tropical gardens, Le Jardin. 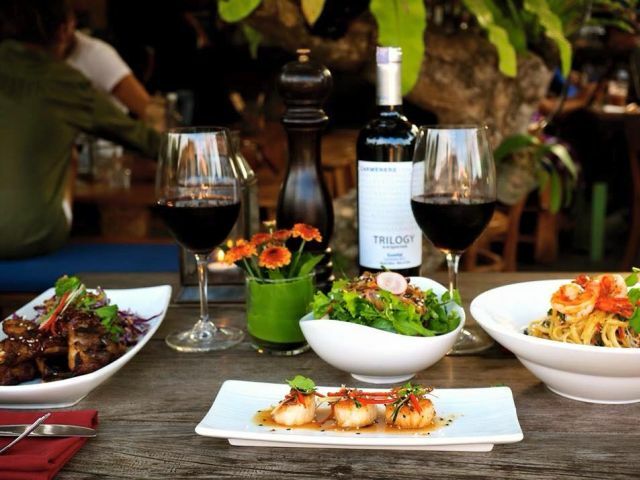 A long-standing trendsetter in Bali’s fine dining and nightlife scene, Métis is a favourite for both travellers and expats alike for their perfect combination of food, drinks, designer setting and those Friday night happy hour sessions! Now with this outdoor garden setting, there’s absolutely no excuse to move along any time soon. 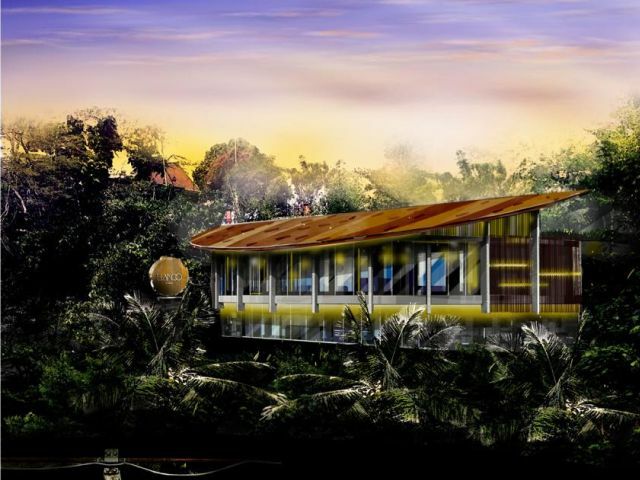 The Green Oasis is available for private bookings and can accommodate up to fifty guests. Metis Bali, Jl. Petitenget No. 6, Kelod Kerobokan, Petitinget, p. +62(0)361 4737 888. It’s Japanese in Sanur, but not as you know it. Inspired by one of Kyoto’s legendary eateries, Kuu specialises in authentic Japanese cuisine and a selection of fine sakes. 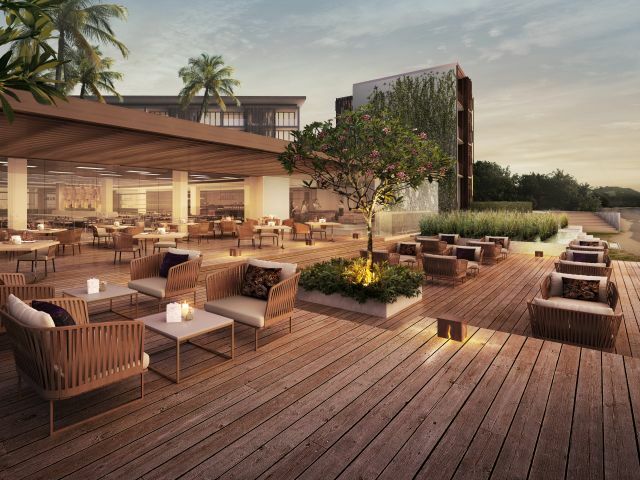 Set within meters of Sanur’s bustling sidewalk in the new Maya Sanur Resort (yes, yes! ), explore the unique style of Izakaya dining where small plates and light bites showcase innovative and classic Japanese flavours. Indulge in the legendary Japanese service and an enticing display kitchen that shows off the culinary team’s international talent. Kuu, Maya Sanur Resort, Sanur, p. +62 361 849 7800, Open:11am–10pm daily. Is there a new Milk & Madu in the ‘hood? 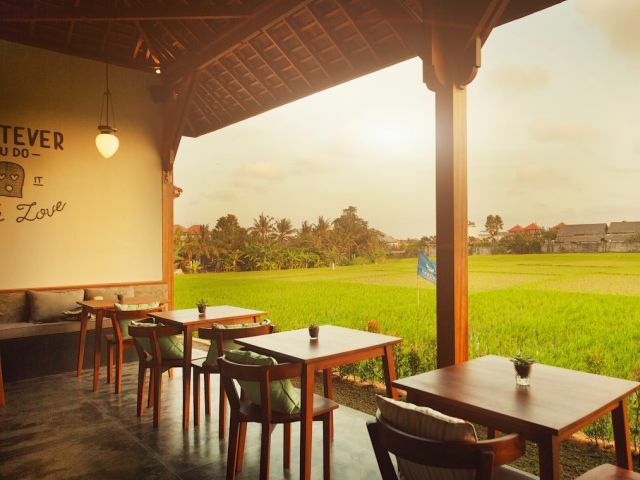 This cute little cafe open for breakkie through to dinner rivals Canggu’s favourite meeting point in the cool, relaxed design stakes, with an added ‘yes-I’m-so-Bali’ view of looking out over beautiful green rice paddies. The menu offers a range of decent meals, prices, good coffee and that view! Definitely one to visit when Milk & Madu is heaving and you can’t get a seat. Cinta, Jalan Pantai Berawa, Canggu. 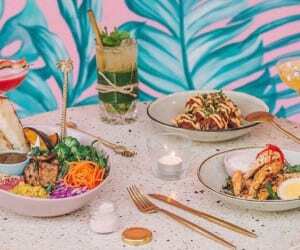 A health focused, Asian fusion restaurant. Koi Batu Bolong is small restaurant with healthy food, drinks and a great cozy space. It’s a hot new table, of the local-food-meets-local-crowd-variety. A cute, healthy alternative to rival local warungs and those nasi gorengs, local expats are big fans. Koi, Jalan Batu Bolong, Canggu. 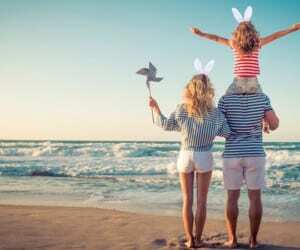 After the success of the Sunday Brunch with free flow wine and Venetian Cicchetti at Soleil, Mulia Resort & Villas is introducing Soleil’s Weekend Dinner with free-flow wine in their beautifully furnished beachfront restaurant. 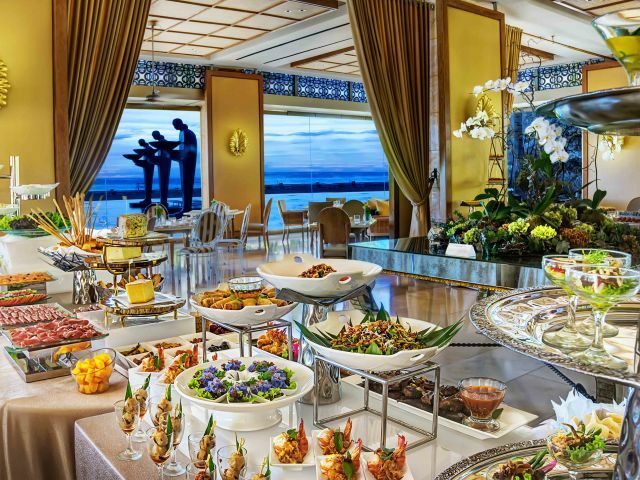 Foodie fans can savour the exquisitely prepared Mediterranean and Pan-Asian buffet of Italian, Indonesian, Thai and Vietnamese delights. And now this legendary feast of culinary treasures is enhanced with a freely flowing selection of wines and cocktails (genius! ), crowned by the delectable and expansive dessert buffet featuring a towering fountain of cascading chocolate as well as an amazing variety of sweets and confections. Sweet! For information and reservations, p. +62 (0)361 3017 777, or e: reservation@themulia.com.